Our clasroom replacement components will fit most existing chairdesk frames - extending their life cycle and extending your budget in ways you never thought possible. 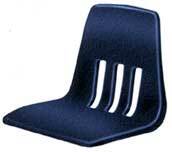 Top quality, high density material molded from solid melamine hard plastic. Extremely resistant to scratching, gouging, wear and tear or intentional abuse. 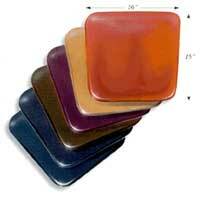 Wide variety of colors to match or coordinate with your existing classroom furniture. Impervious to crayon, ball point pen and fingernail polish. 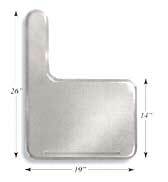 Plus a complete selection of top quality glides, fasteners and hardware. 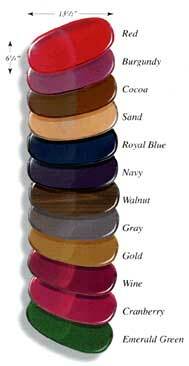 Colors: Red, Burgundy, Cocoa, Sand, Royal Blue, Navy, Walnut, Gray, Gold, Wine, Cranberry and Emerald Green. 18-1/2" x 24-1/2" x 5/8"